Murano seeks the most glorious of merchants! Welcome to the Islands of Murano, home to famous glass factories of Venice. Players will need to build and use glass factories along with shops, palaces and some special buildings to score as many points as possible. Each player’s turn begins with action selection. The islands are encircled by 18 action spaces. Eight of those spaces are occupied by a ship. Players move a ship to an unoccupied action space and then take the action depicted there. 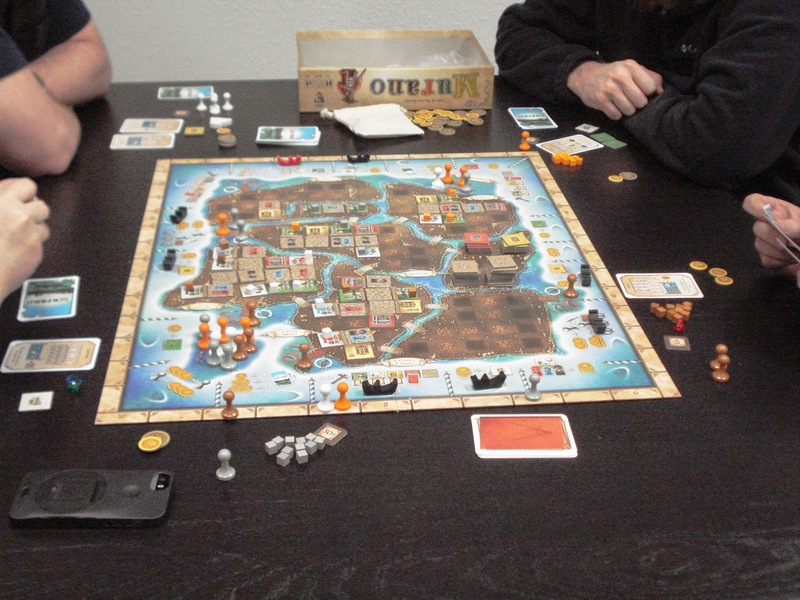 Various actions allow players to acquire buildings, build buildings, acquire cash, produce glass, sell to customers, place gondoliers, and acquire character cards. Most actions cost cash. Money management is essential. Some points are awarded for building buildings during the game, but most points are scored during end game scoring. Each of the 40 character cards yields points for a different set of criteria on one of the 7 islands. In order to score the points a player must have the character card, the conditions described on the card met on the island, and a gondolier placed at that island’s wharf. This game requires some long range planning, but it demands that players be able to react to changing goals and conditions. Players do not start with character cards. They must be acquired before a player knows how to maximize points. When players acquire a character card they get to draw 3 and keep 1. In this way, players have a chance to select character cards that fit with their plans. In the meantime a plan needs to be put together to generate cash. The action selection track changes with every player’s turn. Players will need to have plan B ready for each turn. Murano is another game designed by Inka & Markus Brand who also designed Village and La Boca. Murano creates the kind of tension and decision making that Euro gamers will really enjoy. It is deep enough and variable enough to keep you coming back for more, but short enough to get more than 1 game per game session. 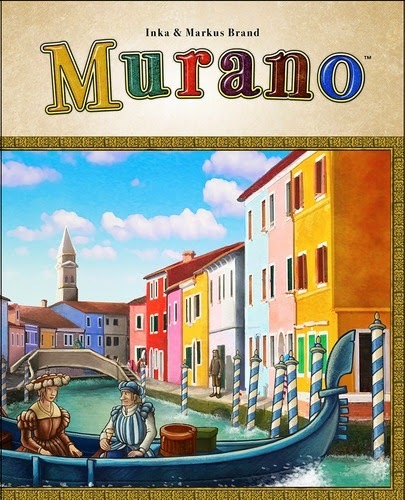 We have an open copy of Murano available in our Demo Games Library for you come in and try. Continue to check in for the latest in board games.